Festival season is coming to a close in Georgia, but the state is going out with a pretty big bang, as it has two major (but drastically different) festivals for this September. The sequel to the unexpected blowout TomorrowWorld 2013 comes back to Georgia to bring EDM-lovers a three day festival that promises the experience of a lifetime. If last year’s results are any indication, it just might do that. Before that though we’ll have our own locally thrown event: Music Midtown. So how should people prepare for these two events, and what should they expect? Each festival has a unique vibe and has different goals, so new attendees may need some clarification. Music Midtown consists of two days where attendees come and go each day, as there is no camping available. TomorrowWorld is a three day event where a major part of the festival is camping out and enjoying the atmosphere. While Music Midtown showcases many types of genres, TomorrowWorld is almost exclusively EDM. Given the size difference, the budgeting is drastically different and consequently, so are the ameneties. TomorrowWorld can be considered an import, as it hails from an electronic dance music festival called Tomorrowland located in Boom, Belgium, a small town outside of Antwerp. In 2013, the creators of Tomorrowland announced they would be bringing it to America. They faced a steep challenge trying to fit into the American niche. Though headlining famous acts like David headlining famous acts like David Guetta and Calvin Harris, it decided to avoid a populous urban area. Instead it opted for the Bouckaert’s Farm in Chattahoochee Hills, Georgia, due to its similarity to the original location of Boom, Belgium. The organizers then implemented a 21-and-over limit, rather than the usual 18-and-over cut off (note that Music Midtown is all ages). With high stakes riding on the first ever TomorrowWorld, it became a huge success. 140,000 attendees strong and without incident, TomorrowWorld has cemented itself a spot in America. It brought in around $70 million for the city of Atlanta, tying the effect of the NCAA Final Four Championships also held last year. Organizers say that TomorrowWorld received visitors from all 50 states and 75 different countries. Here’s how to prepare for an event of such a scale: if you are planning on attending TomorrowWorld, it would be advisable to treat it as a hiking trip. First, take along backpacks and camping gear if you plan on staying in Dreamville. Next, make sure you bring plenty of water as you will be involved in all types of physical activity including jumping, dancing, and lots of walking Holding onto a few refillable bottles will be ideal when refilling at free water stations. It is also advised to bring along some sports drinks to replace the electrolytes that you sweat out when jamming to the music. Finally, keep your clothing in mind as well. It is going to be hot, even in September, so make sure you dress appropriately throughout the day. Sneakers are a must; there’s no reason to be trekking miles in high heels or sandals. Another tip: bring earbuds. Protect your eardrums so that you can enjoy other music later in your life. To help out music-goers who want the most packed experience, TomorowWorld offers Dreamville, a home away from home with camping, marketplaces, food vendors and areas to enjoy a little relaxation while recharging one’s batteries. Another attraction of Dreamville is The Gathering, the TomorrowWorld pregame of musical numbers designed to kick off the whole party. It also features the whole of the Bouckaert’s Farm, a tremendous 500 acres spread with heart-pounding stages. 500 acres and day to night music shows that Georiga is a state that can boast one of the best in EDM festivals. So what should people do for Atlanta’s very own Music Midtown? The weather will be hot, so dress accordingly, and drink lots of water. Also, bring be ready to buy water, because there may not be free water stations. There is no parking offered at the festival, so attendees should plan out their trip on public transportation before they go. A key to receiving the full experience will be to treat the event as an opportunity to view a variety of artists and styles, and keep an open mind. Given last year’s weather patterns and our recent run of rain, be ready and simply accept the fact that dancing in the mud is a memorable experience. With both events, there are a few similar things to look out for. First will be the terrible cell service. Decide on a place to meet up with friends in case you get separated. If you do send a text, keep in mind that it might not be immediately sent and timestamped. Next are the porta-potties. Remember that there will be quite a few people around you who are not always the cleanest. Keep a few anti-bacterial wipes for when you need to go. A few final tips: keep some cash on you, wear some deodorant and make sure to have fun! 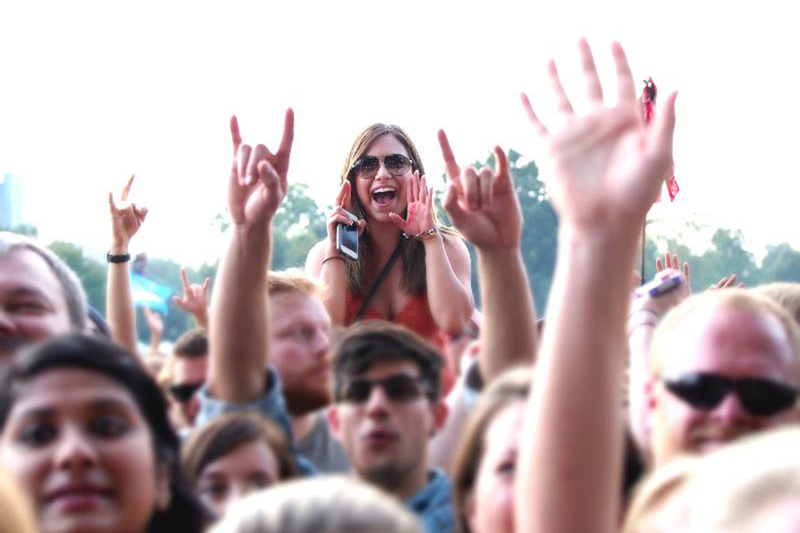 Given the massive success of Music Midtown 2013, and TomorrowWorld 2013, it’s an important year to carry along the hype. Music Midtown will take place on Sept. 19 and 20, and TomorrowWorld will run Sept. 26, 27 and 28, and tickets for each are still available on their respective sites.